We're off to visit the Lofoten islands: a unique chance to discover this marvellous place surrounded by vast, dramatic landscapes on the edge of mainland Europe, plus a visit to the stockfish museum and an excellent traditional lunch. 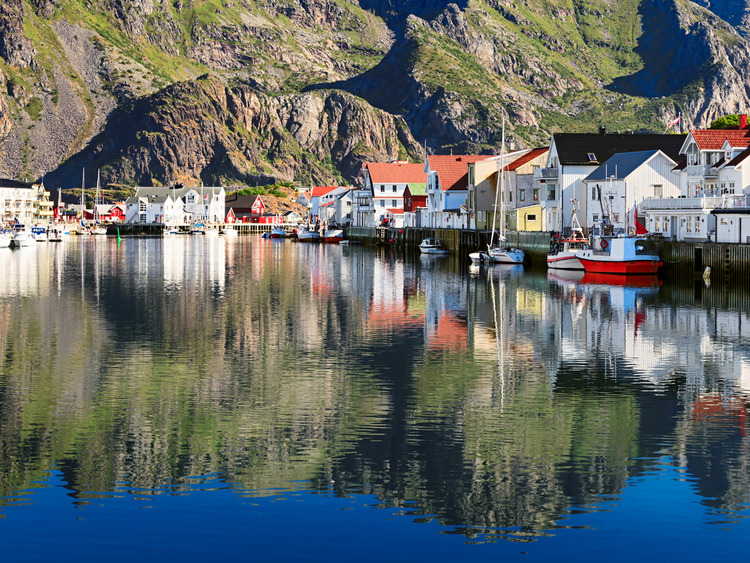 This excursion takes us to the fascinating Lofoten Islands where we are sure to be astounded by the breathtaking views on show. 190 km of mountains that fall sheer into the sea, the valleys and fishing villages teeming with lush vegetation; the closer we get to this wall of granite, the more amazing it becomes. We go past white beaches and enchanting villages until we reach Å, a tiny fishing village at the end of the Lofoten highway. In the past, this picturesque village belonged to just one man, who controlled the whole economy. We'll visit some of the typical fishermen's huts, all splendidly preserved today. Then, we'll move on to the nearby Stockfish Museum (Tørrfiskmuseum), where we'll discover how the fish are dried and prepared for export. Thanks to the climate conditions, the stockfish produced in Lofoten is considered the best in the world. The most important market for Norway's stockfish export is actually Italy! Having learned a bit more about this very important part of the local economy, we enjoy a delicious, traditional lunch looking out over the bay. A disponibilidade de guias que falam português é limitada.